1.1. 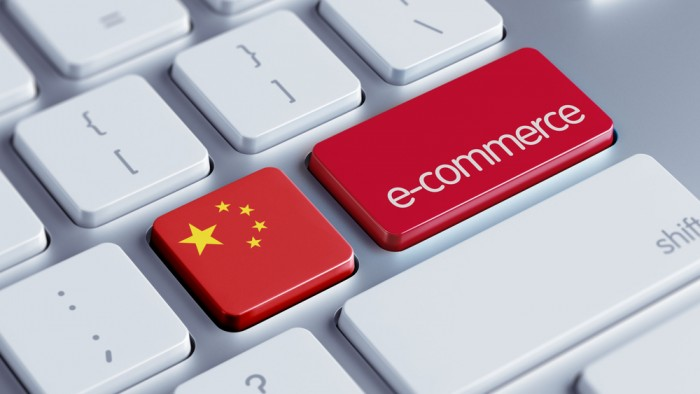 In a short period of time, China has acquired a leading position in the e-commerce industry. So far, together with the United States, it represents a successful role model for a number of developed and developing countries. The success that online commerce has reached in China is partly due to its market structure. Indeed, the widely distributed physical sales organisations do not represent the most traditional purchasing option, as it is still the case in the Western world. The impressive pace at which the People’s Republic of China has developed its economy has reduced the historical importance of brick-and-mortar shops and large-scale retail chains. As pointed out by the research firm Euromonitor International, store-based retailers faced in 2015 the challenge of a decrease in consumer confidence and the increase in competition from Internet retailing. Consequently, a large number of stores in various channels closed, ranging from hypermarkets, apparel and footwear specialist retailers to department stores. The intensified uniformisation, together with rising operational costs from rental and labour, played another crucial role, resulting in stores closures. When Chinese digital market started booming some years ago, consumer-to-consumer (so called C2C) websites took the most of the scene and became increasingly popular. In the C2C model, the e-commerce website makes the transaction easy between two individuals, who are not professionals. Auction sites, such as the American eBay or the Chinese TaoBao (especially when the items are sold by individuals only), are typical examples of C2C e-commerce sites. 1.2. More recently, China’s digital retail market drastically shifted from consumer-to-consumer (C2C) sites like Taobao – introducing shoppers to online buying – to business-to-consumer (B2C) sites like Tmall. 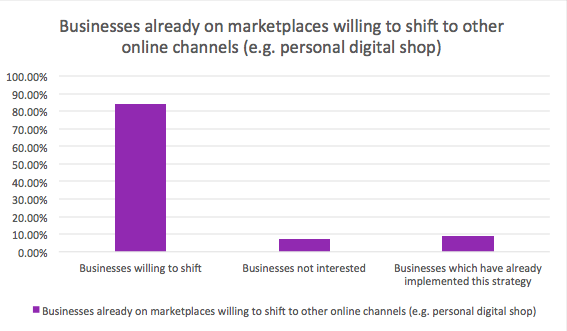 Nowadays, Chinese shoppers feel more confident with B2C websites than C2C marketplaces – generally selling second-hand products (without any certificate of origin). And this without any surprise as Chinese consumers tend to become more sophisticated and demanding. Indeed, the several scandals about the authenticity of critical food & beverages products hit Chinese consumers in the recent years (e.g. the 2008 infant milk scandal), resulting in extra attention to the certified origin of products. According to the consultancy group Bain & Company, the compound annual growth rate for B2C platforms raised by 160 percent between 2009 and 2012, and until 2015 continued by 53 percent each year. By comparison, Taobao, which represents the vast majority of the C2C market, grew by an averaged compounded rate of 65 percent each year from 2009 to 2012, according to the same report. 3.1. Since the Eighties, the industrial manufacture has been playing a crucial role in Chinese national economy. And it is still the case. According to the research firm iResearch, the manufacturing sector, estimated in proportion of total Chinese industrial output value, hit the percentage of 76.8 percent in 2014. Here below is a technological shift of the Chinese economy towards higher value solutions. In 2016, a Chinese Central Government work report announced its aim to promote the use of information technology and other modern technology, in order to improve the manufacturing sector. It included an improvement in terms of production, management and marketing models. Besides, it figured out how to remodel the Chinese industry, supply, and value chain. It also assessed how to transform and upgrade traditional kinetic energy, to make the manufacturing sector enter the new technologic frontier of digital market. 3.2. This change of perspective is even more relevant and more urgent for small and medium-sized enterprises (SMEs) involved in the industrial sector. In general, SMEs contribute some 70 percent of China’s GDP and are an important source of employment and innovation. According to the mentioned McKinsey research, China’s SMEs have thus far been hesitant in adopting the Internet. These companies are generally family owned, with a very traditional approach and often involved in “brick-and-mortar” businesses. For many of them, digitalisation is perceived as a disruptive force, which could destroy their business model. However, going digital will solve some of the disadvantages they have been facing so far. For instance, going online provides a platform for entrepreneurs with new ideas to scale up rapidly and at low cost, and it allows them to collaborate with others along the value chain and within a broader ecosystem. Besides, cloud computing and Software as a Service (SaaS) reduce the need for hefty investment in IT systems. As it is explained below, these new technologies will enable Chinese companies to digitalise their businesses and open their own personal online shop. Besides, online marketing can be purchased in small increments to target specific consumer segments. Finally, by creating their personal webstores instead of using wide e-commerce marketplaces, Chinese SMEs can offer to their existing customers a superior purchasing experience and improve their customers’ retention rate. The digitalisation can even improve export capabilities and strengthen business-to-business relationship: many Chinese SMEs are likely to become “micro-multinationals” and could directly sell to overseas customers on their personal webstore. These insights coming from the Chinese manufacturing industry show that it is essential and strategic for Chinese companies to shift from a traditional brick-and-mortar approach to the online B2B market, provided that the high margins offered by low labour and moderate production costs have been constantly shrinking over the latest years. For many Chinese entrepreneurs – especially SMEs, as mentioned above –, this is the right time to enhance their online presence. Why Should Chinese B2B Companies Go Online Right Now – and Through Their Webstore? As iResearch, recently outlined for online B2B Chinese market, the following PEST (Political-Environment-Social-Technology) analysis identifies the relays of the growth of B2B e-commerce in the People’s Republic of China. 4.1. First of all, from a political point of view, Chinese Government is providing a series of policies to support the companies wanting to go digital. It means that the Authorities promote the application of digitalisation, cloud computing, big data, networking and other services, which are needed for the digitalisation of manufacturing and service industry. A favourable regulatory environment is a consistent advantage in order to implement an online strategy now. 4.2. Secondly, the weak economy increase of China’s economy since 2013 has had negative effects both on the GDP – currently slowing to 6.7 percent in the first quarter of 2016 – and the decrease in export. The Chinese Producer Price Index (PPI) below in blue shows quite clearly this economic slowdown. The PPI is a weighted index of prices measured at the wholesale, or producer level, which identifies the trends within the wholesale markets, manufacturing industries and commodities markets. Consequently, exploring the online market can give to Chinese manufacturers and distributors, currently struggling due to economic slowdown, the access to an untapped new market, and can strengthen the business relationship with their proven partners. 4.3. Thirdly, it is worth noting the increasing interest in B2B industry in the Chinese society. For instance, the amount of exposure in all the media has been increasing over the recent years, both on television, newspapers, Internet or social media. There is a consistent switch of users from well-established marketplaces such as Alibaba or Hui Cong to personal websites belonging to manufacturing companies and/or distributors. According to the research above conducted by Kenfor, a Chinese computing services provider, there is nowadays a huge number of Chinese companies which are not completely satisfied with the solutions offered by online B2B platforms. These companies (83.80 percent of all Chinese corporations) aim to find a reliable alternative to marketplaces such as AliBaba or Hui Cong. However, thus far there is still a relevant market gap which has not been filled yet. Only 8.88% of Chinese companies have succeeded in finding a suitable alternative to B2B marketplaces. This clearly implies that there is an untapped online market, which cannot be reached through marketplaces. Therefore, the path for winning up this uncovered market necessarily implies building a company’s personal online shop, through a SaaS option, as it will be further discussed. Besides, Chinese SMEs are continuously shifting to a wider usage of the Internet, pointing out to their ever-increasing interest about the digital frontier. These factors imply that B2B online solutions are likely to catch the attention of business operators. Of course, Chinese companies which will be first movers into the digital era will benefit most of its potential growth. 4.4. Finally, the enhancement of technology solutions offers a broad range of new solutions to Chinese companies which want to enter the online market. For instance, the development of mobile Internet provides new opportunities, especially in the developing countries, where the laptop has a residual role (in rural areas mainly). Chinese companies’ personal online option is more affordable nowadays, also for smaller organisations, as technology and logistics have continuously improved their service level. A clear example of a new technology which could lead to disruptive consequences in China’s economy is the Software as a Service (the so called “SaaS”). Also known as the “on-demand model” or “web-based software“, SaaS is a way of delivering applications over the Internet – as a service. Instead of installing and maintaining software, companies simply reach it via the Internet, freeing themselves from complex software and hardware management. The SaaS model means the end of common business in the software world. For customers, the benefits are obvious and compelling. They get sophisticated functionality without up-front expenses, or the issues associated with the installation and maintenance of traditional software. SaaS solutions allow SMEs to finally open a successful and effective webstore. In addition, Chinese SMEs already familiar with Taobao or AliBaba platforms will be familiar as well with the web interface of typical SaaS applications. SaaS applications indeed are as user friendly as B2B or B2C platforms are. Besides, with the SaaS model, companies can customise with point-and-click ease, making traditional business software seem unreliable, slow and old fashioned. Finally, SaaS solutions can be effectively combined with Data as a Service options (so called “DaaS”). DaaS is a less famous relative of SaaS. It belongs as well to the family of technology solutions “as a service”. DaaS is a cloud strategy used to ease the access of business-critical data in a well-timed, protected and affordable manner. DaaS depends on the principle that specified, useful data can be supplied to users on demand. DaaS reduces associated expenditures by accommodating data in a single location. Besides, it allows multiple users to use and/or modify data via a single update point.